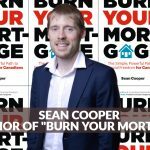 ﻿ Everything You Wanted To Know About Credit was originally a written blog post by Sean Cooper. Read and published by Beau Humphreys with permission from the author. Original blog post is here.